Two -Time NFR Qualifier Cole Melancon rides Time to Shine (Winston/Melton) for 89.5 points at the Tuff Hedeman Fort Worth Challenge last April. “Get my job done” is always the mantra of Southeast Texas cowboy Cole Melancon when describing his professional career goals. In spite of surgery to repair a herniated disc in his lower back last January, Melancon defeated the odds of recovery and used the fear of not returning to the NFR to fuel his competitive fire and qualify for his second PRCA National Finals Rodeo. “Having to sit out two months after the NFR was hard and with my family and new baby girl being born right before surgery, I knew I had to get back,” said Melancon. 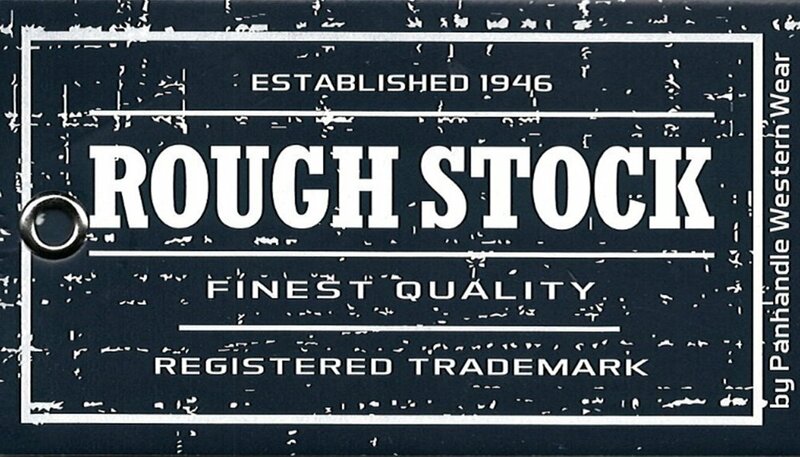 Melancon, who advanced to the Shoot Out Round at the Tuff Hedeman Fort Worth Bull Riding Challenge in April earned his No. 11 position winning a total of $99,973.49 in PRCA earnings and collected five PRCA rodeo titles during the 2018 qualifying season. Cole Melancon on Chaos Ghost (Melton Bull Co.) in the four-man Shoot Out round at the Tuff Hedeman Fort Worth Challenge. Described by Tuff Hedeman bullfighter Bryce Redo as having an “electric type of ride style different from most others," Melancon earned $200,350 riding in PRCA competition, including $92,288 at the 2017 NFR in Las Vegas. According to Cole one of his favorite match ups was in Hugo, Oklahoma where he was 87.5 on 144 Deets (Rafter H) to win the rodeo, but the highlight of his year was in Bremerton, Washington. “It was getting close to the end of the year and I was on the bubble. I was starting to get aggravated with myself because I wasn’t riding so good. I saw my chanced of making the finals going out the window. I needed something big to happen. I ended up winning the Xtreme Bulls that night and that win secured a spot in the top 15,” continued Melancon. At his first NFR Melancon was seen and heard. He placed in four rounds, splitting the Round 3 win (91.5 points) with Sage Kimzey. Enduring pain in his back and legs for eight months during and before the NFR, Melancon still managed to finish sixth in the 2017 PRCA World Standings. After the NFR, I just decided I was going to have some time off, and I wanted to get it fixed. I tried everything else to get it fixed before surgery with rehab and everything, and it wasn't getting better. It was something I didn't want to deal with anymore." Melancon’s then returned to competition Feb. 21-22 in San Antonio riding one of three. He advanced to the final four Shoot Out Round at Rodeo Houston. “Everything felt great, I was just pretty sore because I had not ridden in two months,” Melancon said. "Since the surgery, my back feels a lot better, and the problem really wasn't my back. The disc was in my lower back, and it was pinching my sciatic nerve, and it was going down my leg, and that's where the pain was. I'm glad I had the surgery because the pain is finally gone." Melancon had some ups and downs and moments he was not sure he would make the trip back to Vegas. The right-handed bull rider's climb to the Super Bowl of two years ago began with missing the 2016 NFR. Coming close was my inspiration for 2017, I had to get the confidence in myself that I could hang with the top 15 riders – every weekend,” said Melancon who also represented the USA in the inaugural 2017 Global Cup bull riding competition. Just before having back surgery, Melancon and his girlfriend, Raelee Self, welcomed a daughter, Lariat Lace, into the world. “It was good to be home for around two months to be with my daughter,” Melancon said. The 24-year-old graduate of Hull Dasietta High School was born in Beaumont and currently resides in Liberty, Texas, a small town rich in rodeo culture located south and west of Beaumont. He joined the PRCA in 2014 after competing in just five rodeos in 2013. "No one in my family really rides bulls. Once I was old enough to see bull riding, I knew I wanted to do it, so I took off and did it," he said. 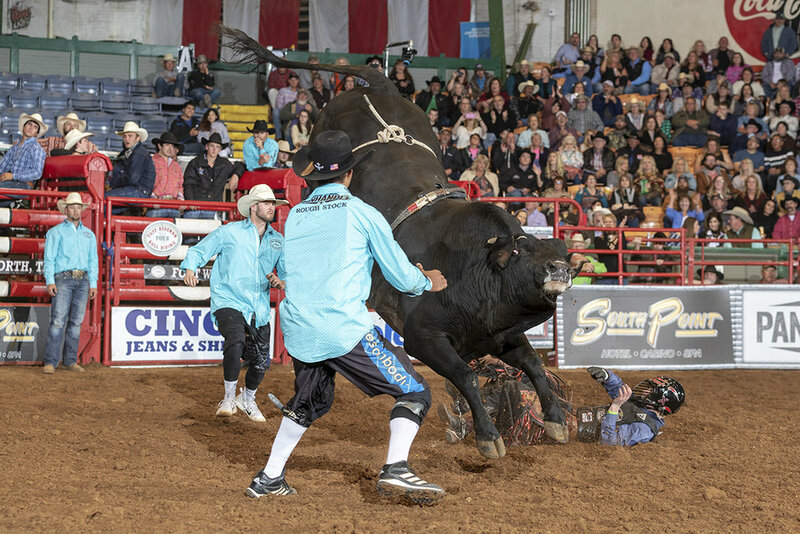 Melancon gets a little help from his friend - neighbor and Tuff Hedeman Tour bullfighter Bryce Redo who describes him as “electric”. In 2015 he ranked sixth in the Resistol Rookie Standings for bull riding; and won the Xtreme Bull Riding (Albuquerque, N.M.) with a 70th place that year in the world standings with $18,703 in earnings. Melancon is the 2017 College National Finals Bull Riding Champion and was a four-time Texas High School Rodeo qualifier (2009-12). The 5’9 145 pound athletes’ preparation schedule for the 10 rounds in Las Vegas includes working on his new place he purchased, getting on some practice bulls and riding his drop barrel. “Champions are not people who have never lost they are people have never quit,” Cole Melancon on Facebook. 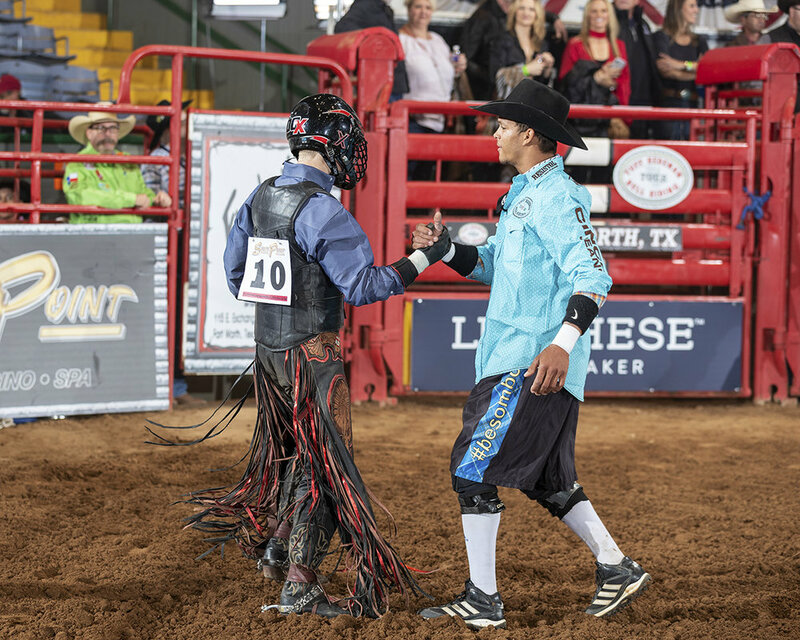 Looking out for each other Southeast Texas Cowboys Cole Melancon (Liberty, Texas) and Bryce Redo (Dayton, Texas) on the Tuff Hedeman Bull Riding Tour.